Many Formotus customers have never used InfoPath before. Here are a couple lists to help you get started on the right foot designing InfoPath forms. Even if you’re a seasoned InfoPath user you’ll find some useful Formotus-specific advice here. Day 1: Open InfoPath Designer, not InfoPath Filler. To open an existing form in Designer right-click the .xsn file and choose Design. Double-clicking it opens the form for filling, which is not what you want. Don’t feel bad, everybody does that. Use the Formotus InfoPath Starter Form as your starting point. It has lots of designs and best practices already built in. As you work on a form, save it periodically with a new name. We’ve all come to expect that we can delete or undo something that breaks, but in InfoPath sometimes bad things happen that can’t be undone. If that happens you’ll be glad to have a copy that’s only missing an hour or two of work. You can insert a control straight into the view pane and it will automatically be bound to a data field with a meaningless name like Field12. Then you’ll probably need to change each field name. Alternatively, you can create the data fields and structure first, on the right. Then drag your data fields into your view pane and they become controls. Sometimes you’ll want a different control, so you’ll right-click and choose Change Control. Test on a mobile device early and often – maybe every time you do an incremental backup save in #2. 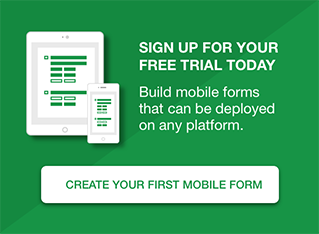 You don’t want to create a large magnificent form and only then discover there’s a problem on the mobile device. Best to discover a problem soon after it has been introduced, because it’s easier to identify and often easier to fix. Day 1 When you create a new form with File | New, don’t choose “blank form”. That will give you a browser-based form template without key features you may want to use. Don’t create a long form in one very long view. This causes performance problems on mobile devices, and can even cause the form to fail on the device. Instead, split your form into multiple shorter views and use buttons to navigate between them. 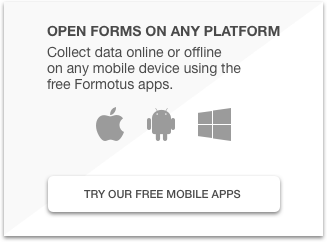 Don’t include any custom code in your form, because Formotus doesn’t support it. Don’t include controls Formotus doesn’t support, such as a file attachment or a combo box. Don’t use optional sections unless you really need to. Instead, use regular sections and formatting rules to show or hide them. Don’t nest sections inside other sections unnecessarily. 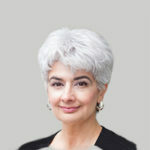 Stick to two layers of nesting, not section-in-section-in-section. Use tables rather than sections to visually organize your form layout. Don’t expect to capture a large number of photos in one form. Every device has a memory limit that will crash a form that’s too large, and photos make forms large quickly. If you need lots of photos, think about multiple submissions. Tip: You can design a form to stay open after submitting so the non-photo data does not need to be re-entered.